Do what you've always wanted to do with ExtraHop—only better. ExtraHop 7.0 builds on the robust foundation of its former versions, but the key takeaway is that you can do the things you've always wanted to do—only better. In addition to the next generation of key ExtraHop features listed below, we've upped our Trigger and REST API game by adding and improving functionality, made numerous enhancements based on your feedback, and dedicated a hefty portion of our efforts to performance improvements. 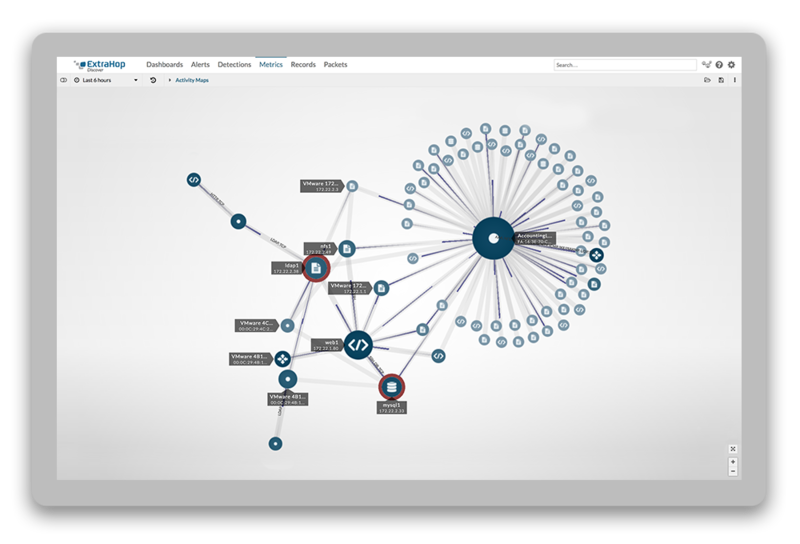 Instantly visualize real-time connections between network devices in an interactive 2D or 3D map. You can troubleshoot and gain insight by selecting only the devices and traffic that you want to see. Learn more about Activity Map concepts or how to generate an activity map. We also have an Activity Maps FAQ to get you started. Create an application through the ExtraHop Web UI, which previously could only be created through our Trigger API. 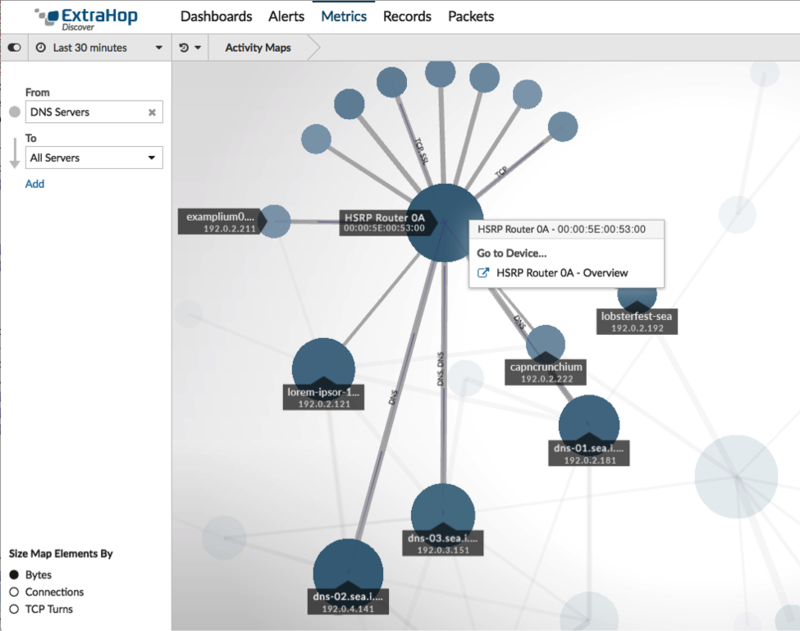 ExtraHop applications are user-defined containers that are associated with multiple devices and protocols for a unified view of built-in metrics. They are a quick way to watch traffic across distributed applications in your environment, such as the web, DNS, and database servers that are associated with your website. Learn how to create an application through the ExtraHop Web UI. Check out our Applications FAQ, too. Users who have signed up for the ExtraHop Addy service can now configure anomaly alerts by source type and protocol. Anomaly alerts are displayed in our Alert History widget and can be configured for email or SNMP notification. 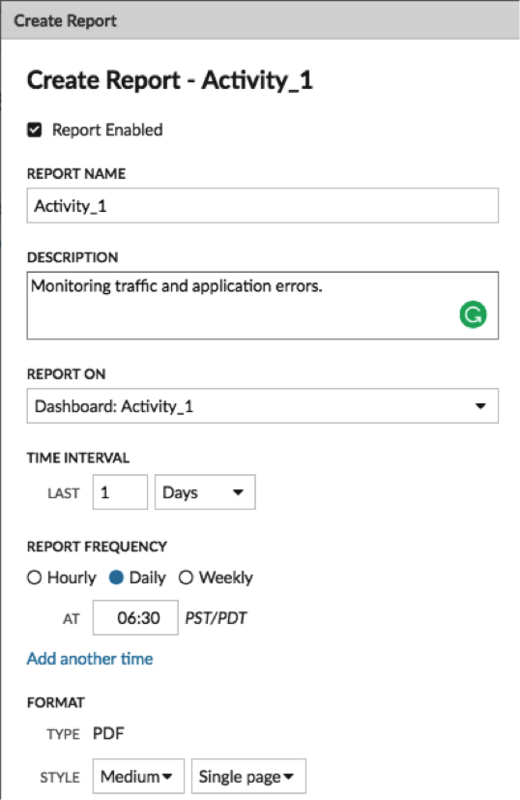 Learn how to configure an anomaly alert or how to add notifications to your alerts. Previously, you could create reports from our protocol pages. In version 7.0, you can now schedule a report from a dashboard on the Command appliance and send a daily/weekly/monthly summary of that activity to a designated email list. Learn how to create a scheduled report. Perfect Forward Secrecy (PFS) is an encryption method that enables short-term, completely private key exchanges between clients and servers. In version 7.0, you can license a Discover appliance to decrypt PFS SSL/TLS sessions from Windows servers where the ExtraHop PFS agent software is installed. Previously, those sessions could not be decrypted, and the data from those exchanges was obscured. Learn how to install the ExtraHop session key forwarder on a Windows server. Visit our Customer Portal to upgrade to ExtraHop 7.0 and let us know if you have any questions!